It has been seven months since I last posted a new car, would you believe it? I have been doing a lot of other things (work, travel) and building aircraft and helicopters instead. 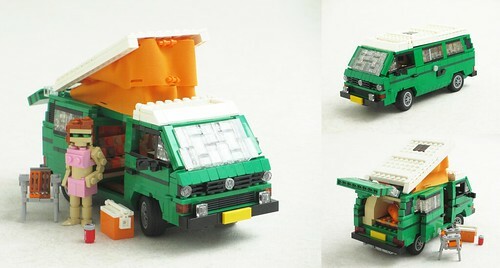 However, here's a brand new one: a Volkswagen T3 camper. It is my entry for the LUGNuts cult car challenge.